Afghanistan: Withdraw the troops now! We need councillors who will fight the cuts! "These cuts will hurt", warned the Tory chair of the Local Government Association, Lady Eaton. "Up to 100,000 jobs in local authorities will go. That's one in ten of the workforce". The Con-Dems' savage austerity plans announced in October's comprehensive spending review put local councils firmly in the front line. Funding for councils from the Department of Communities and Local Government (DCLG) will be cut from £31 billion in 2009-10 to £22.9 billion in 2014-15 - a 27% fall, the biggest 'departmental cut' of all. At the same time councils will be expected to administer many of the cuts announced under other budget headings. These include the cuts to housing benefit funded from the Department of Work and Pensions (DWP) budget but administered by councils; the Department for Education's 12% cut in 'non-school' spending on young people (including the abolition of educational maintenance allowances for 16-19 year olds); and a 're-adjustment' of NHS social care funding. Setting council tax benefit, averaging £900 a year and currently paid out by councils on behalf of the DWP, will be devolved to councils, but with a 10% cut in overall funding. Councils will also become the final agency to apply the £500 'total household benefit' cap, through housing benefit deductions. "Outsourced", was an apt headline in The Guardian - "town halls must do Osborne's dirty work", it went on. To say councils "must do" this dirty work, however, is wrong. Not unexpectedly, Labour councillors are already saying there is 'nothing we can do' to stop the cuts from being implemented locally, even where they control the council. But that is just not so. Councillors have a choice. That's why the decision of the Trade Unionist and Socialist Coalition (TUSC - see box) to facilitate the widest-possible challenge in the local elections that will take place in England next year is an important part of building the anti-cuts movement. 32 million people will be able to vote in these elections, in every part of England bar London. TUSC is also involved in discussions to ensure an anti-cuts challenge is organised in elections to the Welsh assembly and the Scottish parliament, also in May 2011 (there are no local elections in Wales and Scotland). The TUSC steering committee has agreed a draft policy platform for the English local elections, which will now be open for discussion in trade union branches and anti-cuts campaigns and finalised at a conference of prospective candidates in January. It starts from the basis that councillors can refuse to pass on the cuts. Voting in May, it argues, can be not just a 'protest vote' but can actually stop cuts to local jobs, benefits, and services. Building support for TUSC candidates can be an important means of putting pressure on current councillors when they decide council budgets in March, and in shaping how they respond to the 'new responsibilities' they will have to administer. WHAT ROLE could councils play to stop the cuts, if the political will was there to seriously oppose the Con-Dem government's austerity measures? Over the years councils have been stripped of direct funding responsibility for many different services. The TUSC election platform notes that former Tory prime minister Margaret Thatcher, who began this process, famously said: "I must take more power to the centre to stop socialism" - in other words, that public services that 'crowded out' the private sector should be curbed or, where they exist, should be opened up to private companies to make profits from public needs. New Labour continued this process throughout its 13 years in office - the turnover of private companies running public services reached over £80 billion in 2008, for example, 126% higher than 1995-96 under the previous Tory government. Now the Con-Dems' spending review announcement includes plans for 'private provider quotas' for councils' elderly care, early years, youth and family support services. Despite this however, as the TUSC election platform states, councils still have enormous powers and responsibilities. They control budgets totalling billions of pounds spent on services from housing to schools, youth clubs, libraries, adult social care, crime reduction, sports centres, highways maintenance and refuse collection, to name but a few. They have legal powers over non-council provided services, including many of those now 'outsourced' that could be used, if the will was there, to defend jobs and services. Councillors could - and TUSC councillors would, as the policy platform states - "vote against the privatisation of council services, or the transfer of council services to 'social enterprises' or 'arms-length' management organisations, which are first steps to privatisation". They could - and TUSC councillors would - push for councils to "use all their legal powers available" to "oppose both the cuts, and government polices which centrally impose the transfer of public services to private bodies". That could mean that, for example, faced with the Con-Dems' housing benefit cuts, councils would refuse to evict council tenants who fall into arrears as a result of the changes - and withdraw from 'partnership agreements' with housing associations (HAs) and other 'social landlords' who fail to do likewise (and actively support HA tenants' organisations to fight for this policy). Councils could also intervene in the private rented sector. The government hypocritically claims that its aim is to 'bring rents down', after housing benefit payments have ballooned to £21 billion - although the Tories began this by abolishing rent controls in 1988 and slashing council house-building (policies not reversed by New Labour). Councils cannot impose a legally-binding private rent limit but they could, for example, threaten compulsory purchase proceedings against multi-property landlords who move to evict tenants suffering housing benefit cuts. But housing is just one area where councils with the political will to oppose the Con-Dem government could play a key role in resisting the cuts. They could use their powers to 'call in' and refer local NHS re-organisation proposals, for example. With a King's Fund survey showing that fewer than one in four doctors believes the government's new GP consortia commissioning plans - opening up £80 billion of NHS primary care funding to private companies - will improve patient care, councils could galvanise opposition to the Con-Dems' dismantling of the NHS. Even some Tory and Lib-Dem councillors are criticising the government's 'free schools' plans (particularly in relation to faith schools) as endangering socially cohesive local education. Councils could use their 'schools organisation' and admissions monitoring powers, governor appointments etc - and initiate consultative parents' ballots, for example - to build a public campaign of opposition to these and the equally divisive accelerated academies programme. Councillors, it is clear, have a choice - they don't have to do the government's 'dirty work'. They can resist. But what can councils do when faced with government cuts to the centrally allocated 'revenue support grants' they receive to pay for council-funded services? The TUSC draft election platform states that councils should refuse to implement these cuts, and reject above inflation increases in council tax, rents and service charges to compensate for them. If even a handful of councils were to make such a stand it would electrify the mass opposition to the cuts that is developing. As Margaret Thatcher's resignation 20 years ago this November shows, in the face of mass non-payment of the poll tax, even the seemingly most imposing government - and the Con-Dem coalition is not that - can be forced to retreat if it faces a sufficiently powerful mass campaign of opposition. Not only was Thatcher removed but the Tories were forced, within weeks of her downfall, to put an extra £4.3 billion into local government funding (around £7 billion today) to finance the abolition of the poll tax. The TUSC policy platform argues that the best way that councils can contribute to mobilising the mass campaign necessary to defeat the cuts is to set budgets that meet the needs of their local communities, without massive council tax hikes, and combine together to demand that the government makes up the funding shortfall. That is the 'Liverpool model' which in 1984 enabled the city's Labour council, led by Militant supporters, the predecessor of the Socialist Party, to compel Thatcher's government to concede extra resources to the city worth up to £60 million (£98 million today). 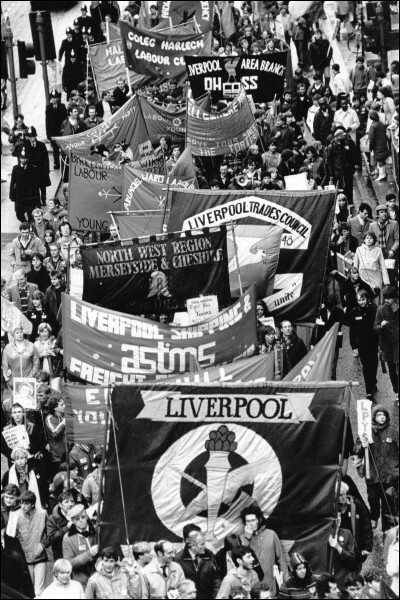 But the campaign in support of Liverpool's 'needs budget' had been long prepared, even before Labour won a majority on the council in 1983. 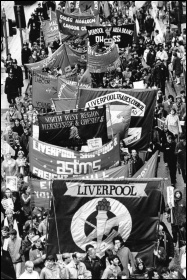 A 25,000-strong demonstration was organised in November 1983 and the budget meeting itself, in March 1984, just weeks after the start of the miners' strike, took place against the backdrop of a city-wide one day strike and a 50,000-strong march to the town hall. 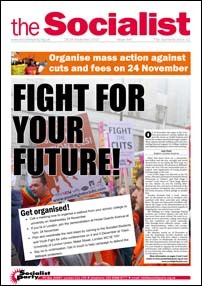 The anti-cuts movement will grow rapidly, given confidence by events such as the student demonstration in November and the combative stance of unions such as the Fire Brigades Union, the PCS civil servants' union and the RMT transport workers, but it is still at an early stage. There is certainly no group of councillors who have prepared the ground as the Liverpool councillors had in 1984. So, for the next budget-setting period, the draft TUSC policy platform also includes support for councillors who are prepared to use councils' reserves and 'prudential borrowing' powers to avoid passing on government cuts. Such a policy is completely within a council's legal powers. Council finance officers can challenge a budget they believe to be 'knowingly unbalanced', in other words, a planned deficit - which a 'needs budget' without massive council tax rises would be - but they can only question an individual council's ability to meet short-term debt re-payments. The use of reserves to meet such initial debt re-payments, for example, is legally a 'matter of judgement' for councillors to make. Councillors have a choice. In some respects this approach would be a 'Liverpool in reverse sequence'. In 1984 the mass campaign led by the council was able to extract extra resources from the government. 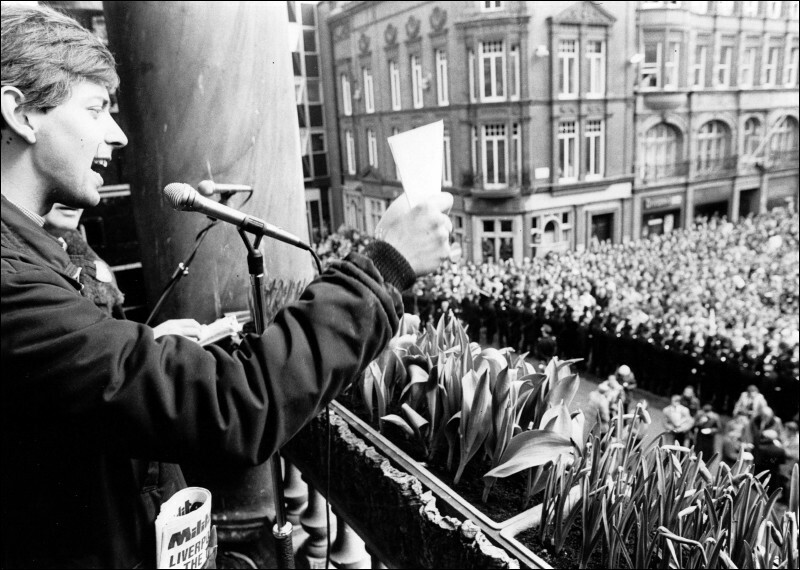 The campaign continued in 1985 but, with the defeat of the miners' strike, and under ferocious attack from a Labour Party leadership doing Thatcher's work for her - effectively, with Liverpool left isolated - the council had to resist cuts and sustain its house-building programme for a second year by using its borrowing powers. COUNCILS USING their reserves and borrowing powers to avoid making cuts in this budget-setting period would only be buying time before they faced an inevitable showdown with the government for extra resources. Ultimately, there is no 'clever tactic' that can avoid the need to build a mass campaign against the cuts. There is, of course, no guarantee in any struggle. Most Labour councillors are 'New Labour', indistinguishable from the Tories and the Liberal Democrats in their pro-market policies and outlook. But even those who sincerely want to oppose the cuts still hesitate before the Liverpool road. Eventually, having defied the government for four years and won lasting gains for the city, the Liverpool councillors were surcharged and dismissed from office in March 1987. The law has changed since the 1980s. The 2000 Local Government Act abolished the power of surcharge, for example, except for cases of personal gain. As importantly, the actual course of the events in Liverpool needs to be rescued from right-wing myth-making. It was not the setting of a needs budget or the later decision, in 1985, to fall back on the council's borrowing powers, that the councillors were surcharged for. It was the decision to delay setting a rate at all (rates were the local tax levy then), that was used as the legal pretext to charge the councillors with 'wilfully incurring financial loss' to the city. This 'no rate' strategy was decided on by the leaders of 20 other Labour councils, ironically against the Liverpool councillors' advice (Liverpool went along with it to keep a united front), who then all - bar Lambeth council - backed down to leave Liverpool to fight alone. Nobody is proposing not setting a council tax rate today. It was also significant that the councillors were only taken on by the district auditor in 1985 and not in 1984, when they had also delayed setting a rate (as some Labour defections meant no party had been able to get a majority for its budget in the council chamber). 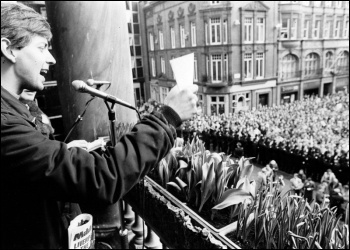 It was only when the mass campaign had ebbed - not in Liverpool but elsewhere - after the miners had been defeated, the other Labour councils had capitulated and Liverpool had been attacked and left isolated by the Labour Party leaders, that the Thatcher government felt confident enough to 'apply the law'. THE CLAIM that there is 'nothing Labour can do' to stop the cuts 'until the next election' - leaving aside its support for 'less deep and fast' cuts if it did come to power - is disproved by one simple demand. If Ed Miliband was to stand up tomorrow and commit an incoming Labour government to meet the debts incurred by councils who borrowed rather than made the savage cuts demanded of them, then not one council would have a reason to make the cuts. The same pledge could be made to other public and semi-public bodies like universities, health authorities, school governing boards, housing associations etc which incur 'temporary' deficits to avoid implementing cuts. Many trade union leaders still hope that 'Labour will listen' and resist the cuts. Let them ask for such a pledge, which would, in local government, save the 100,000 jobs at threat and the services they provide. But if, as is almost certain, they don't get it, then they must admit that the only option is to fight and build a mass campaign, including standing or backing candidates in the 2011 local elections who will fight the cuts. Some Labour councillors will no doubt sincerely wish to oppose the cuts but draw back at the prospect of taking a bold stand. They should resign and make way for those who will. Whatever, it should be made clear to all councillors: councillors can fight the cuts and TUSC candidates will - and will contest the seats of those councillors who vote for cuts. The Trade Unionist and Socialist Coalition was set-up in 2010 to enable trade unionists, community campaigners and socialists who wanted to resist the pro-austerity consensus of the establishment parties to stand candidates in the 2010 general election. By registering TUSC with the electoral commission, candidates could appear on the ballot paper as Trade Unionist and Socialist Coalition rather than as 'Independent' which they would otherwise have to do under electoral law. TUSC came out of a series of discussions by participants in the No2EU - Yes to Democracy coalition, which contested the 2009 European elections with the official support of the RMT transport workers' union, the Socialist Party, Solidarity - Scotland's Socialist Movement, and others. TUSC is a coalition with a steering committee which includes, in a personal capacity, the RMT general secretary Bob Crow, and fellow executive member Craig Johnston; the assistant general secretary of the PCS civil servants' union, Chris Baugh, and the union's vice-president, John McInally; the vice-president of the National Union of Teachers, Nina Franklin; and the recently retired general secretary of the Prison Officers Association, Brian Caton. The Socialist Party and the Socialist Workers Party are also represented on the committee. TUSC was established as a federal 'umbrella' coalition, with an agreed core policy statement endorsed by all its candidates but with participating organisations accountable for their own campaigns. Its core policies include, amongst others, opposition to public spending cuts and privatisation, student grants not fees, the repeal of the anti-trade union laws, and a clear socialist commitment to "bringing into democratic public ownership the major companies and banks that dominate the economy, so that production and services can be planned to meet the needs of all and to protect the environment". The draft local elections policy platform agreed by the steering committee is a supplement to the core policy statement. It will be finalised at a conference in January and will form the basis on which any prospective council candidate can stand under the TUSC name in May's elections. THIS 32-PAGE pamphlet is a record of four years campaigning by two Socialist Party councillors in Lewisham, south London. During that time, from 2006-2010, the socialist councillors, Ian Page and Chris Flood, moved nearly 30 resolutions or amendments which were never ruled 'illegal' but which, if implemented, would have prevented a whole series of cuts to public services, increased charges, and privatisations. It shows that councils still have great powers to resist government dictates - that councillors can make a difference. But it also shows that building a mass campaign is necessary to make the establishment councillors stand up for public services!